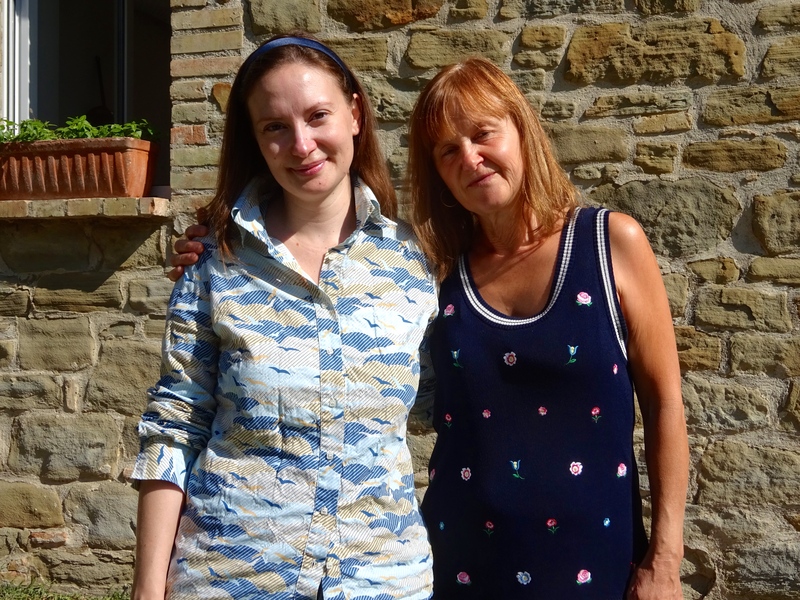 Nestled in the lush, verdant mountains of Subasio, Assisi, Italy, Arte Studio Ginestrelle, artist residency was established in 2007 by Marina Merli, the soft-spoken, gracious, director. Located in the Regional Park, the environment is tranquil and inviting, and ideal to start or complete any project. I certainly accomplished more in three weeks there than I did in the previous four months. Marina Merli says, “The idea to develop an artist-in-residency program germinated after I finished my degree in Economics of Tourism and worked in the field of management. My desire grew to plan a cultural program at Subasio, the ‘sacred mountain’ of Assisi, to connect old traditions and history to contemporary minds worldwide. One of my aims was to offer opportunities for people interested in learning about the heritage of Umbria.” Known as the green heart of Italy —il cuore verde d’Italia— a phrase, lifted from Giosuè Carducci’s poem, Umbria is bordered by Tuscany to the west, Marche to the east and Lazio to the south. I have been asked why do I need to go some place far to do my work, and the answer is simple. I go where what I do matters, and where I am given the time and am in a community that is likewise engaged. Another important aspect is the exchange that often occurs at great residencies. Marina concurs, “I think one of the main aspects in a residency program should be to create an International, cultural network for artists worldwide.” While I was there, artists from USA, Denmark and Russia were in attendance, painters, musicians and writers, creating a richly diverse setting. Marina notes, “artists who apply to Ginestrelle are attracted by the natural landscape and are interested in finding a quiet place to focus on their projects, as well as the possibility to meet international artists.” Mount Subasio of Assisi is a journey into the past. “We can still breath the authentic style of life, sustainable and in harmony with nature. 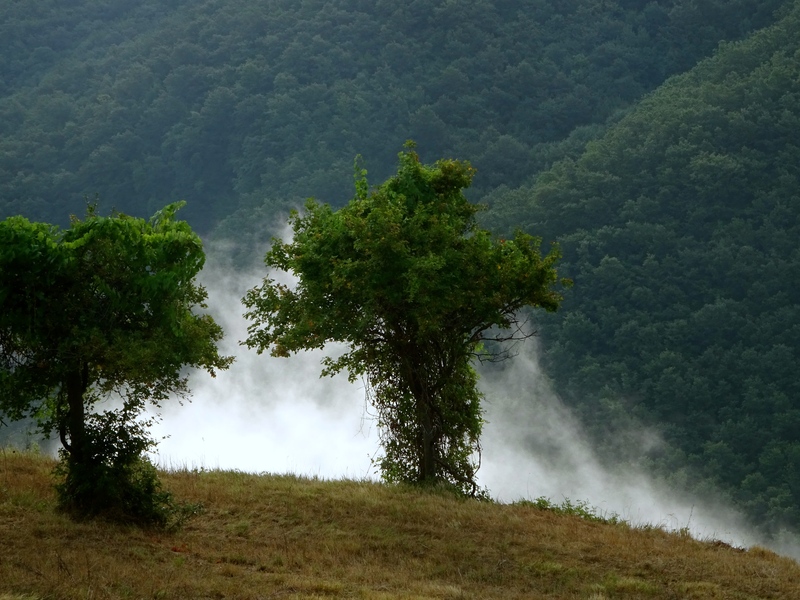 The ancient forest and sanctuaries (one of these is Madonna dei Tre Fossi from X century) represent the richness of this secret side of Assisi.” Marina continues. At Ginestrelle, where memories are preserved, you will connect to one of the cultural goals of the program. In keeping with the personal and economic family values of Italians, Marina began this residency in collaboration with her parents who serve as board members of the Cultural Association Ginestrelle. 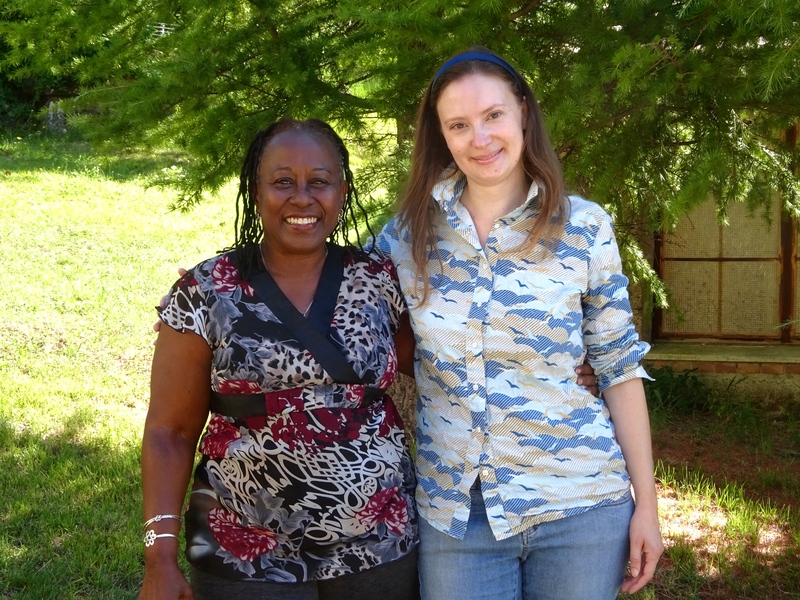 Marina is grateful for their support and says, “They have always been involved in the projects.” And indeed they are, much to the delight of residents for the amazing breakfast that is prepared daily, mainly by Adria, Marina’s mother. But throughout the day, both parents are busy tending the grounds and attending to other things on and around the site. Mrs. Adria Eugeni serves as CEO Chief Executive Officer, and Mr. Enzo Merli, as Treasurer. It is good to see that you had a productive time in Italy Opal! Thanks again for your encouraging words last year when last we spoke. I’m getting closer to my dream of attaining an MFA… I am speaking it into being. All the best, Tricia. So glad to hear from you, and that you are getting closer.